The loveliest thing about the smart phone these days is that they are not less than a mini personal computing device which offers you all sorts of entertainment, professional gratitude and empowers you as an advance technological user in order to perform your personal and professional activities in daily life. However these smart phones are also good is another aspect and that is the ability they offer you to listen to your favourite music anytime and anywhere. 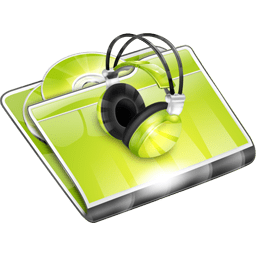 You no doubt can port the music libraries and files from your PC, however there are many apps these days which shorten down your path and enables you to download your favourite music files directly from the sites. The best thing about these MP3 and MP4 music files is that you can also set them as your free android ringtones. Well this post is about downloading music for free and setting up your favourite music and songs as your ringtones. So let us watch out some of the loveliest and useful Android apps to download the free music and ringtones for free of cost. This app is a free one which needs the internet connects in order to fetch the best quality of music files for you. It search and connects you to the sites URL from where you can download the music directly to your Android based smart phones. You can also edits the music files and can set them as your ringtone for free. MP3 Music Download Super is an impressive Android app to download free music. All you need to do is to simply enter the search query and this app will fetch you the results from where you can directly download your favourite music. It also lets you enjoy the lyrics of the songs. Gtunes music is another hot Android app for downloading quality music and ringtones. This app also allows you to perform various actions on the downloaded music. For eg you can edit your song length and can make them as your ringtone, notification, alarm tone or message buzz. Music Paradise is something which I am sure you wont like to miss out. It’s a simple but an impressive Android app for downloading free music. It is easy to use and offers you the package to download the free music, their lyrics and features to create your down ringtone for the download music. 4Shared Music is a free and easily accessible app which offers you the online music and also the files to download directly on your Android smartphone. You can select any music list and can stream on your smart phone. For downloading them you can simply create your account and can instantly start downloading your favourite melodies. So, which one is your favourite Android app to download music and for setting up the free music as your ringtones. DO let us know your favourite app and also any other interesting and useful app you use to download or to create ringtones. HP Envy 4-1030us 14-Inch Ultrabook Review: Blend of Brilliant Engineering and Performance! Counter Strike: Global Offensive Best Deal - Now Available on XBOX Live Marketplace! Shopcade Android App Review: Get Trending Styles On Your Android!